If you do like simple style, then you definitely gonna try the following outfit idea. 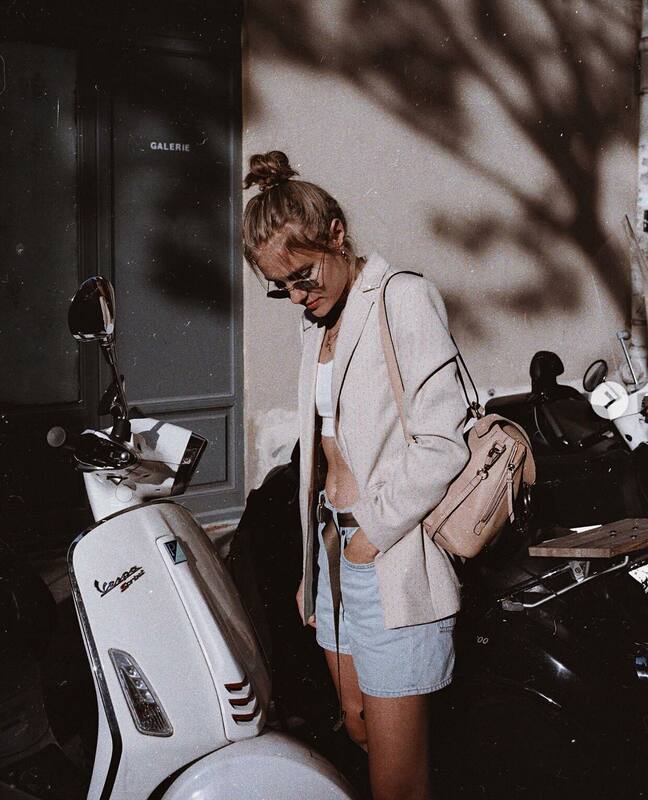 We see a light grey blazer worn over white crop top teamed with light blue denim shorts. Complete this combo by adding rounded sunglasses.